Major George Filer was an Air Force Intelligence Officer who not only had an extraordinary encounter with a massive UFO on radar over the United Kingdom, but later, in the 1970′s while he was at McGuire Air Force Base in New Jersey, found out that an extraterrestrial biological entity had been shot at Fort Dix. This extraterrestrial fled to adjacent McGuire Air Force Base, where it died on the tarmac. He testifies that this life form was then picked up and taken to Wright-Patterson Air Force Base. Afterwards, many of the key personnel on the base who had a connection with this event, were quickly transferred. Major Filer also points out that the ridicule factor has been very effective at silencing people who have seen ETs or UFOs, and has helped to maintain secrecy. According to an article in the Philadelphia Inquirer, August 19, 2001, and reprinted at UFOEvidence.org, Filer saw his first UFO in 1962. He was flying a tanker plane for the Air Force, refueling fighters over England. The control tower sent his plane to investigate a UFO on the radar, near Stonehenge. His plane dove from 33,000 feet to 1,000 feet to find it. 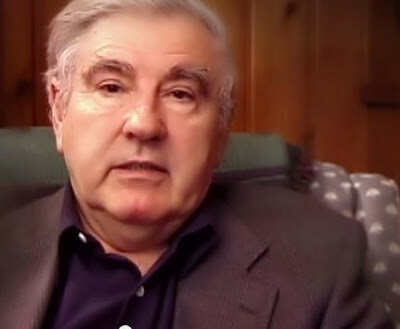 Neil Gould, Founder of Exopolitics Hong Kong, Director of the Exopolitics Institute (Dr Salla) interviews Major George Filer USAF (Ret) Feb 2011. In a relaxing moment Major filer discloses for the first time that he and a childhood friend had consenting encounters with Human looking ETs and had actually boarded their spacecraft where they were mentored by highly evolved beings with respect to human behavior, nuclear issues and man’s inhumanity towards man. Major Filer admits that these encounters were the impetus behind his tireless work, keeping around 8000 people informed on UFO sightings worldwide through his Filers Files. The interview was filmed and Directed by Jake Gould and assisted by Liat Gould. His second encounter came a few years ago, from the bedroom of his Medford Lakes home, which faces Briarwood Lake. “I woke at 4 a.m.,” he said. “The bedroom was filled with light pouring in from out the window. I saw a UFO surfacing. It looked like a submarine coming out of the water, a blue ionization.” His wife slept through it.